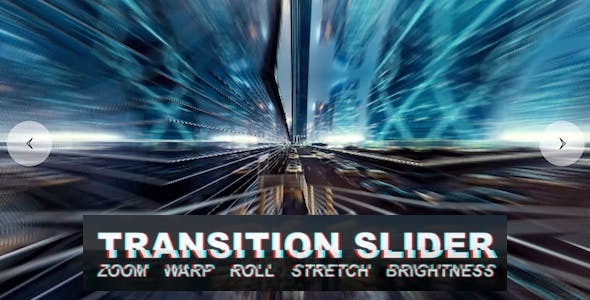 Transition Slider is revolutionary image and video slider with advanced transition effects never seen before in slider plugins. Transition slider brings video-editing effects like zoom blur, motion blur, camera roll, warp, twirl, stretch and brightness. Now your slider can look like a professional video, but with standard slider controls like autoplay, pagination and navigation. It is basically a classic slider plugin with advanced WebGL powered post-processing transitions between slides.